Newell "Old Glass Paperweights of Southern New Jersey"
Clarence Newell "Old Glass Paperweights of Southern New Jersey"
Subtitled "An American Folk Art". 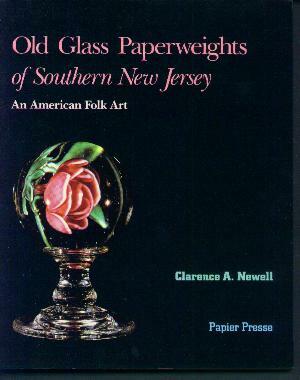 This is the only book devoted to the subject of Southern New Jersey Glass Paperweights. 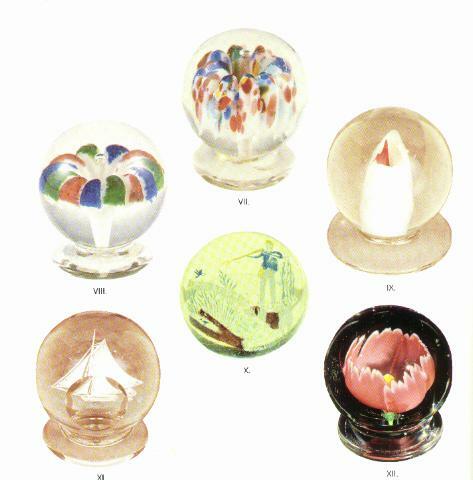 It presents these paperweights as a uniquely American folk art, previously ignored in the literature. As antique paperweights, these paperweights have a style of their own and as such have a special appeal to collectors. This landmark reference is indispensable to anyone interest in collecting American paperweights. 54 black and white figures plus 4 full page color plates. 95 pages in all (including the preliminary pages). 8" by 10". Soft Cover. Sometimes this book is also available in Hard Cover (Limited Edition of 100).